Laparoscopic Stomach Hernia repair is similar to other laparoscopic procedures. First the surgeon makes a cut over the area of the hernia. 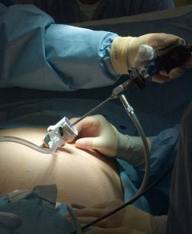 A thin, lighted instrument called a laparoscope is inserted through the incision. The instruments to repair the hernia are inserted through other small incisions in the lower abdomen. Mesh is then placed over the defect to reinforce the abdominal wall. Both Women and men can get a hernia. Some hernias it may be present at birth, while others develop over time. A hernia does not get better over time and it will not go away by itself. Hernias are most commonly occurring in the groin ('inguinal hernias'), around the belly button ('umbilical hernias'), and near the site of a previous surgical operation ('incisional hernias'). Approximately 600,000 hernia repair operations are performed annually in India. Many are performed by the conventional "open" method. 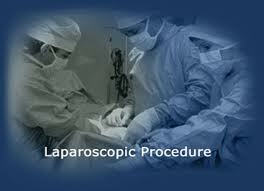 Some hernia repairs are performed laparoscopically using a small telescope called laparoscope. During laparoscopic surgery, we make a small half inch cut in the skin at the belly button. Then a thin cannula (tube) is introduced in between the muscle fibers without cutting any of the muscle. Through the tube, the laparoscope is inserted into the patient's body. It is equipped with a tiny camera and light source that allows it to send images through a fiber-optic cord to a television monitor. The television monitor shows a high resolution magnified image. Watching the monitor, the surgeon can perform the procedure. While looking inside the patient, further 2 half inch diameter tubes are put in. This way, the already weak muscles are not disturbed and the net is placed through the ½ inch holes that are away from the hernia. Thus there is minimal disturbance to the normal body and as a result the pain is minimal and very little rest is required. There are more and more reports showing the success of this technique in reducing post operative pain, rest and recurrence rates. Most hernia operations are performed on an outpatient basis that is the patient will go home on the same day that the operation is performed. If you have difficulties moving your bowels, an enema or similar preparation should be used after consulting with your surgeon. If you take medication on a daily basis, discuss this with your surgeon. Laparoscopic hernia is an efficient technique that compares favorably to current open surgical techniques. The patients are relatively pain free and can return to work and normal activities much quicker than open hernia repairs. We provide all laparoscopic procedures like AdhesiolysisSurgery, Cholecystectomy, Hernia Repair, Hydatid Cyst Liver, Inguinal HerniaRepair, Rectopexy, Repair of Hiatus Hernia, Splenectomy, Varicocelectomy, Drainage of Liver Abscess, Tubal Ligation, Ovariar Cystectomy, Hysterectomy etc with affordable cost in Bangalore, India. The cost of Laparoscopic treatment in India is very low as compared to other western countries like USA, UK, Canada, Switzerland, Austria etc. Laparoscopic Surgery or minimally invasive or Keyhole surgery is a surgical procedure in which done with the help of a video camera and several thin instruments. In Laparoscopic surgery small incisions about half an inch are made and after that laparoscope attached with laser are passed through those incisions. These ports help to place camera and instruments inside the patient's body in order to make internal organs visible to the surgeon. And gas like carbon dioxide injected into belly through one of the incision in order to inflate the belly, this gas make a gap between internal organs and abdominal wall this helps the surgeon to make a clear view on internal organs. The video camera inside the body acts like surgeon's eyes in which it transfer the internal view of organ to outside monitor and surgeon perform the surgery with the help of instruments which already placed through the ports by watching the inside view on screen. After conducting the operation the instruments and gas will be removed, after that incisions will be repaired with stitches and bandages. The scar happened due to surgery are negligibly small and will be faded soon. The entire procedure may take half an hour to one and half hour. The patient will be shifted to rest room for two to five hour. Patient can enter into normal life activities except strain full work or exercise on the next day. Patient can return to normal life very soon. But these problems are very rare in the case of Laparoscopy. If happened anything like above you have to approach your doctor as early as possible. In India better 'Laparoscopy procedures' are conducted on very low rate when compared with other countries. Due to the introduction of new technologies in this field the ease of the procedures increases year by year. 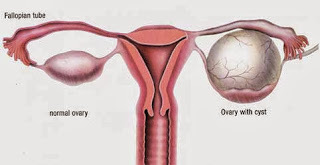 Our expert doctors performs laparoscopic gastrointestinal, inguinal hernia repair, and cholecystectomy (gall bladder removal) with affordable cost in Bangalore, India.